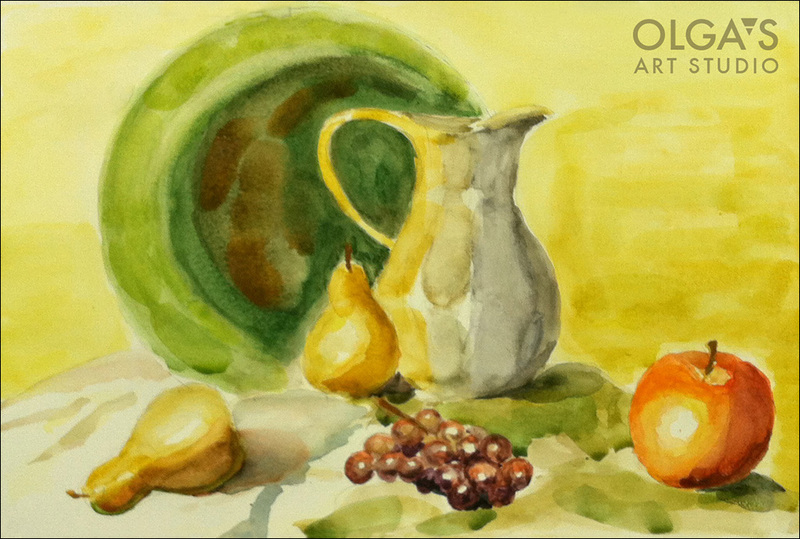 My recent watercolor “Grapes and a pear”. I am always inspired by my talented students. Painting a still-life side by side with my class. 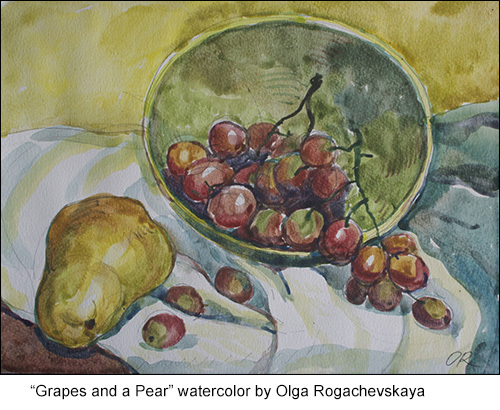 This entry was posted in watercolor and tagged grapes still-life, Olga Rogachevskaya, still-life, watercolor on January 30, 2015 by Olga Rogachevskaya-Chu. One of the most challenging subjects for beginner or professional artists is drawing hands or feet. Studying masters is a great way to start. Adult class created hand study of their favorite artists. Michael chose to create a study of Albrecht Durer’s hand drawing. He was inspired to add a touch of color. 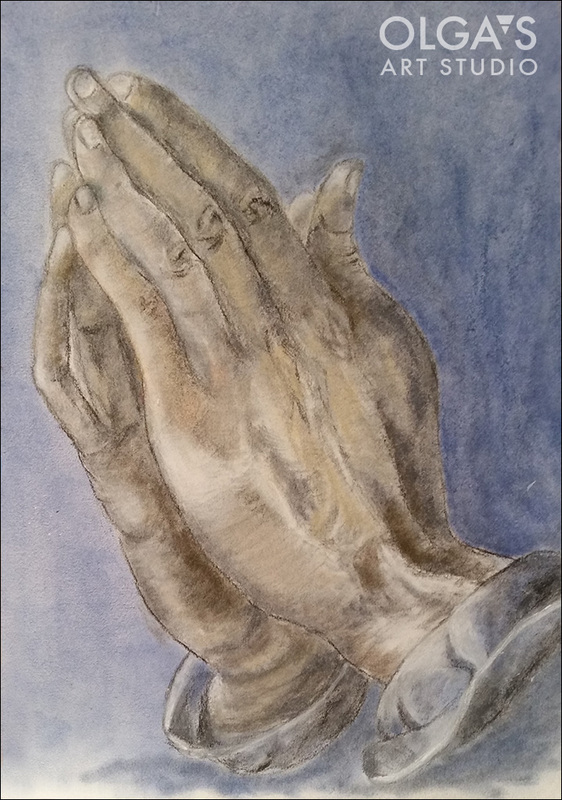 This entry was posted in Uncategorized and tagged drawing, study Albrecht Durer on January 15, 2015 by Olga Rogachevskaya-Chu. 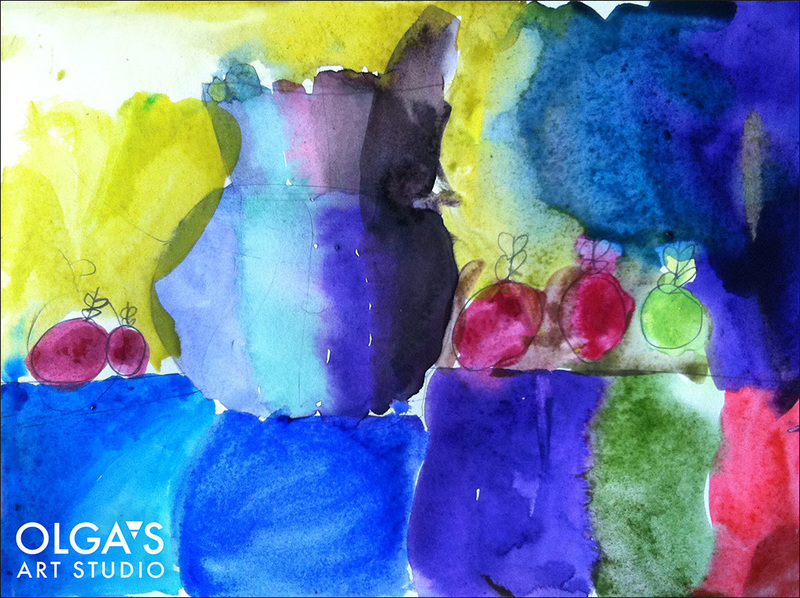 6 year old Dunya painted a lively still-life watercolor. Nothing in her still-life matches the original colors in the still-life. Her unique vision & harmony of colors that’s what matters. This entry was posted in Children's Artworks, Student Paintings, watercolor and tagged children's art class, still-life, watercolor on January 6, 2015 by Olga Rogachevskaya-Chu. Watercolor is a wonderful media to test your skills as an artist. Michael preserved translucency and light in his still-life painting. This entry was posted in Student Paintings, watercolor and tagged still-life, watercolor on January 6, 2015 by Olga Rogachevskaya-Chu.